Dr. David Whiteman graduated the medical school from the University of California San Diego and completed two residency programs: one at the University of California Irvine and the other at the VA Greater Los Angeles Healthcare System. A fellowship followed at the County of Los Angeles soon after that. He is specialized in pathology and is also board certified in pathology. 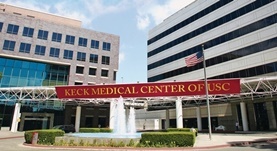 Dr. Whiteman has been in practice for more than 20 years and is affiliated with the Keck Hospital of USC. During his career, he has also contributed to 1 publication of medical interest. Dr. David Whiteman has contributed to 1 publications. Fischer, M., Bhatnagar, J., Guarner, J., Reagan, S., Hacker, J.K., Van Meter, S.H., Poukens, V., Whiteman, D.B., Iton, A., Cheung, M., Dassey, D.E., Shieh, W., Zaki, S.R. ; N Engl J Med. 2005 Dec 1.